You need to protect your trail cameras from any destruction to avoid spending money over a period. In this page, you are going to know what are the right kind of lockboxes for your camera from CamLockBox brands. 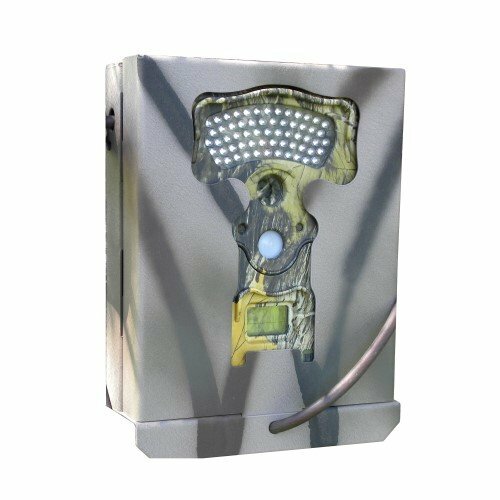 The CamLockBox product is compatible with your python cables that may work well outside without ruining the trees or other things and is lockable with some ordinary padlocks to add more security for your camera. 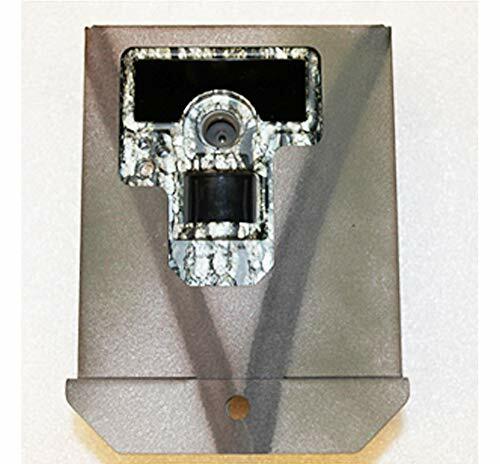 This product is made up of steel construction that makes it durable enough as a lock for your trail camera. The product fits in the Bushnell 119599C2 trail camera; it gives security for your camera to stop animals from chewing and destroying it. 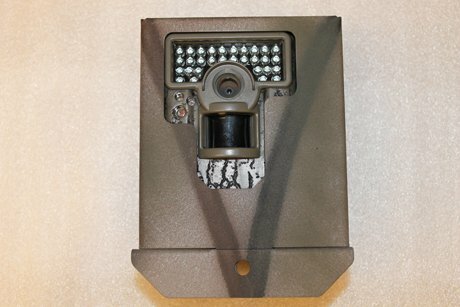 The product also has a powder coated with a camouflage break-up paint applied to it and lastly it is a theft deterrent that protects your camera from disappearing. 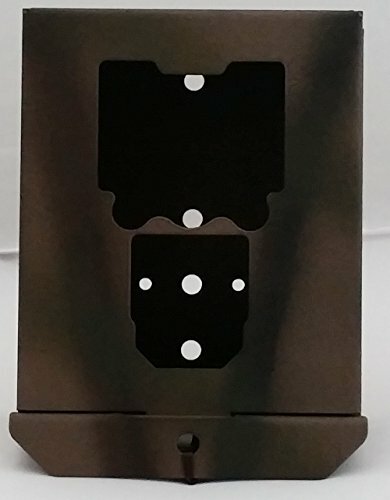 This security box is for your Stealth Cam G42NG trail camera and does not fir to any trail cameras you have. This product, you can choose whether you will lag bolted it, belted or bungeed it on the trees, and it has many large-headed bolts clearance on it. 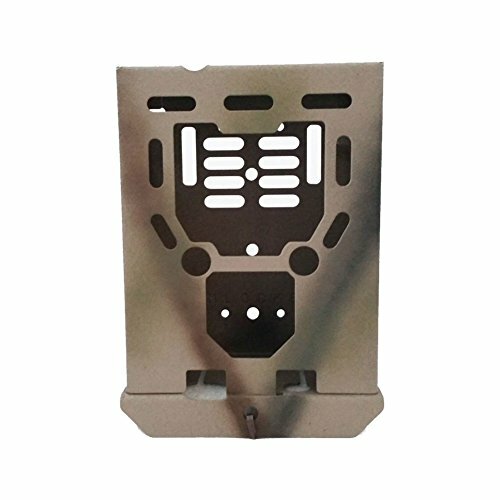 The product is all steel construction and then finished with a baked-on powder coat, and camouflage break-up paint is applied. This security box allows you to use some ordinary padlocks and is compatible with python cable. This one also protects your camera from natural elements, and a theft protected security box. The security box is made to fit the Browning Sub Micro and Dark Ops Sub Micro game cameras. The security box is not compatible with your Browning strike force pro trail camera. You can decide on either you are going to lag bolted it, belted or bungeed it to the trees, and you can also put large-headed bolts on it. The box is made up of 16-gauge steel and powder coated with camouflage break-up paint is applied. You can have camera adjustment using thumb screw at the back of the camera. The box must protect your camera from nature happenings, and to stop the animals from destroying the trail camera by chewing it or playing with it. It also protects your cameras from theft happenings in your area. You can use some conventional padlocks for more security, and it can also be matched with the python cable. The product is for the Bushnell cam HD aggressor models 119774c and 119776c; it will not fit other models except the mentioned one. 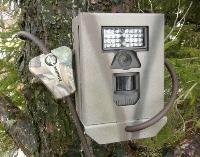 The product gives protection for your trail cameras against those thieves in your area. 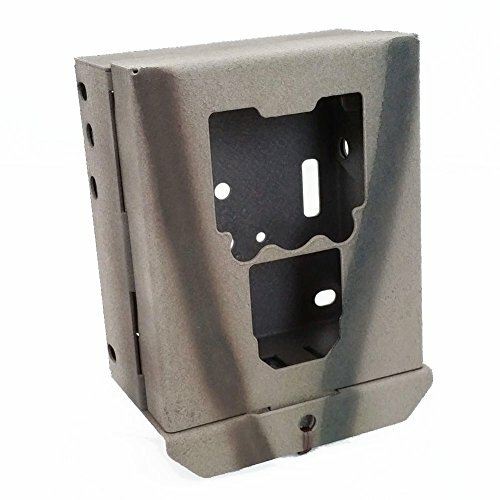 It is made up of all steel construction just like the other CamLockBox products to ensure the consumers the best fit for the trail camera. It can also be used with your python cable or some usual padlock as one of its features. This product fits perfectly with your Bushnell essential E2 119836C Trail camera. The product is manufactured with an all steel construction. It also helps your trail camera from thieves in your area and nature elements. The product can also protect the camera away from your animals from destroying it. One of its features is, it is also compatible with python cables and allows you to use some padlocks. The product is a perfect fit for your Moultrie M990i camera and does not fir to any other trail cameras. Made up and manufactured with an all steel construction and powder coated with a camouflage break-up paint. It helps to protect the trail camera from some unfamiliar faces in the area, and also with some animals chewing some things around the city. This security box best fit for your truth cam 35, truth cam 60, 45 and your truth cam blackout. You can choose how you are going to put it on a tree; it can be either bolted, belted or bungeed. Just like any other CamLockBox, this is also compatible with python cable. It will protect your camera from any thieves within the area, and from animals play or destroying your camera. 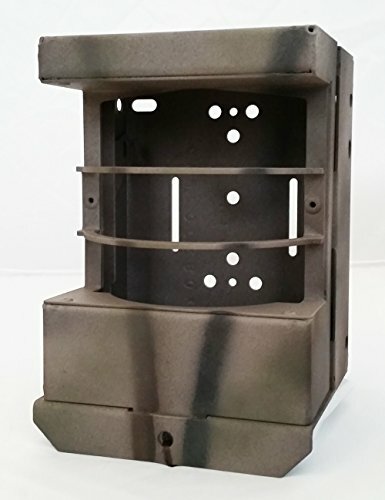 This is made up of all steel construction, baked on powder coat finish and break camouflage paint. 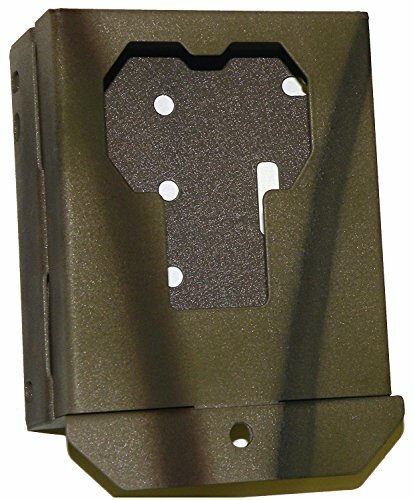 This security box is made for the Bushnell Cam 2012, 2011, 2010 and 2009, then models 119347C, 119447C, 119456C, 119446C, 110436C, 119455C, 119445C, 119435C, 119425C, 119415C, 119405C, and the XLT model. The box will not fit any of your black flash cameras. You can still take the camera in and out inside the box. It can be lag bolted bungeed or belted to the tree or some poles. Made up of all steel Construction and powder coated with a camouflage break-up paint. The purpose is to protect your camera from thieves around the area and animals from destroying it. It is compatible with python cables and some usual padlocks your using at home. 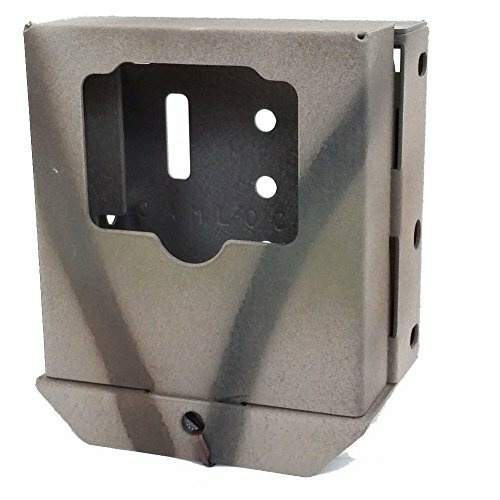 This security box is designed for your Moultrie Panoramic 150 Game Camera. The product can be used in different ways and compatible with python cable and some ordinary padlocks to make it more secure for your trail camera. It has plenty of clearance for your large-headed bolts and can be bungeed, lag bolted and belted. The box is formed with all steel construction and powder coated with a camouflage break-up paint. It helps you protect your camera from thieves, animals and nature elements. The box is best and designed for your Moultrie M880 trail camera and will not fit any other camera. Made and manufactured with al steel constructions and powder coated with a camouflage break-up paint. The purpose of the box is to protect your camera from any distractions of the natural elements, from animals destroying it by chewing or other forms and from thieves around your area.